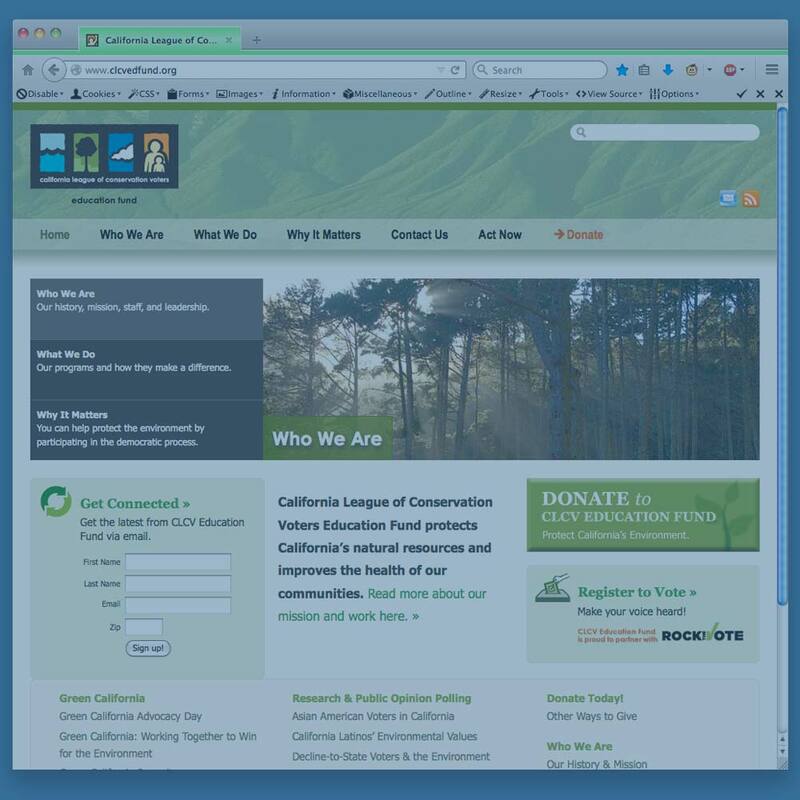 After CLCV’s major website overhaul in 2010, the CLCV Education Fund (CLCVEF, CLCV’s 501(c)(3) sister organization) requested a new site as well. 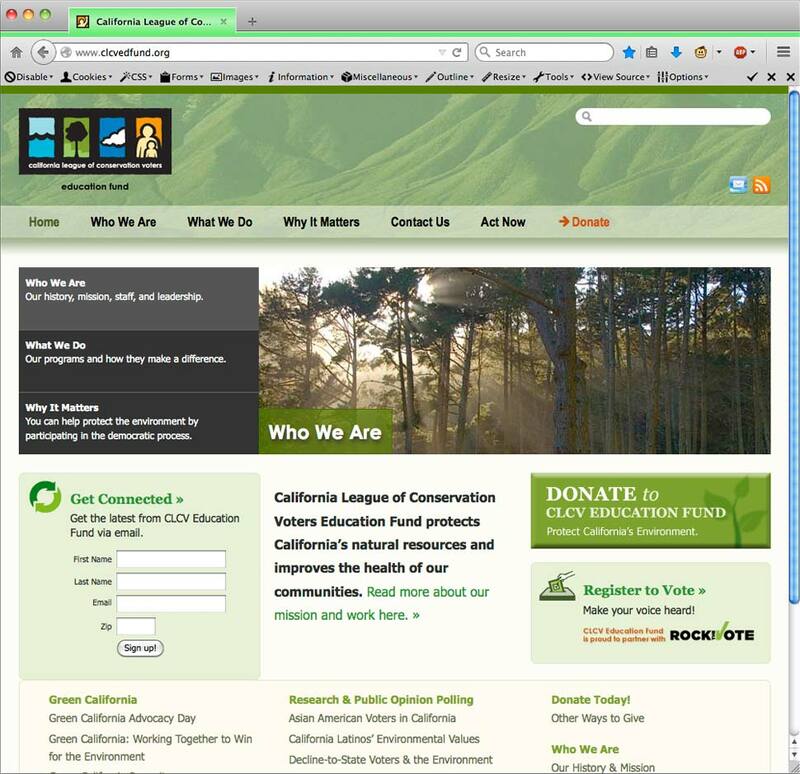 In early 2011, using a few weeks of staff time, I single-handedly created the (much smaller) CLCVEF site in WordPress (with a bit of jQuery), basing the design on CLCV’s site without making it too similar. I was able to avoid some CSS problems that plagued the CLCV site at the time, however. Because the audience of this site is so small, retrofitting it for responsiveness was not a high priority while I was at CLCV.